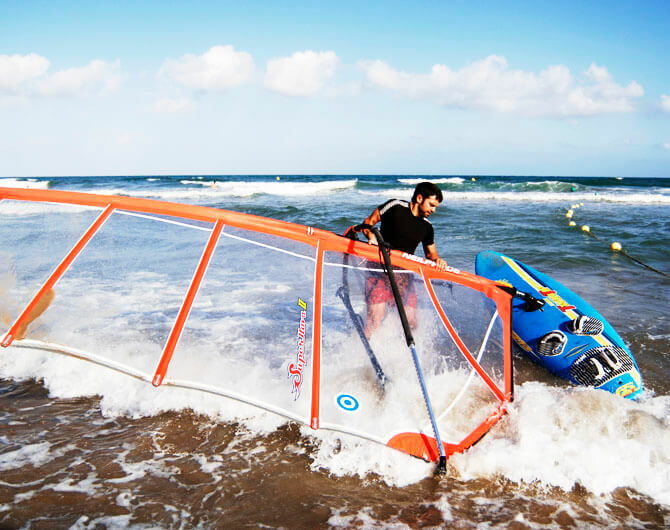 Windsurfing is one of the most exciting, dynamic and fun wind sports available today. This course consist in gives you all the basics for surfing and keep stand up on the table following the way ot the wind. Once you get the main objectives, you can realistically expect to be sailing by the end of you session which will leave you ready to come back and give it another go in order to learn some further techniques. 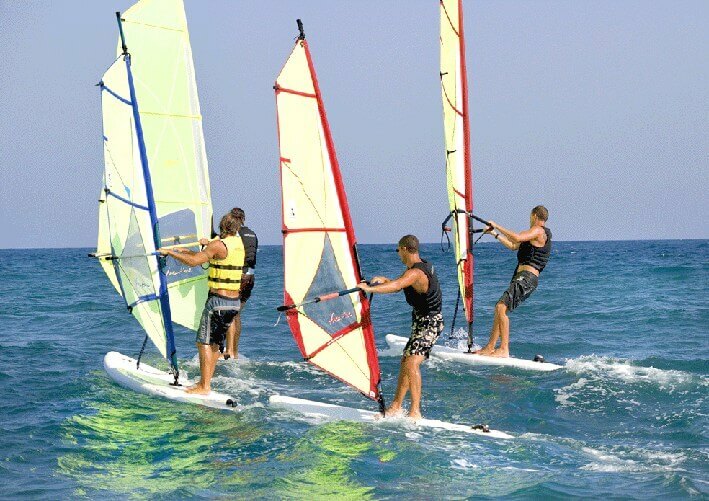 This course is designed to gain a good control of this excited world of windsurfing in only four sessions. 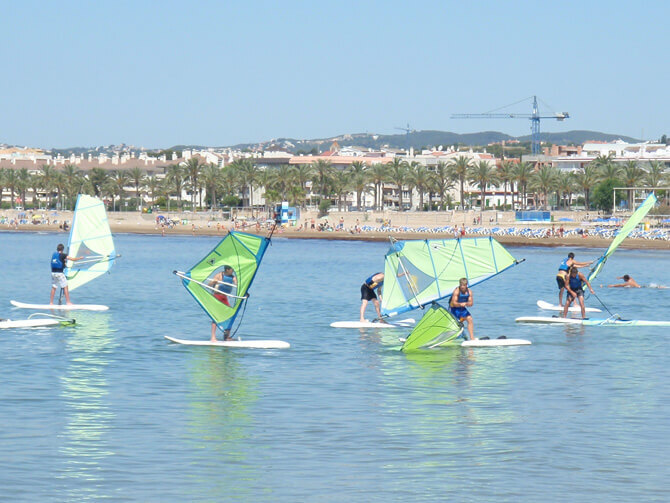 Knowledge of all parts of your windsurf and the equipment necessary for this sport. This course is for beginners, and you do not need to have previous experience to make it. This is a 8 hours course split in 4 session of 2 hours each.